College life! Many consider it the “golden era” of young adulthood. There’s no other time in your life quite like it. It’s an exciting season of opportunity and growth coupled with hectic schedules, little to no sleep, and a fair amount of stress. Juggling classes, exams, papers, a possible job, and a social life keeps most college students occupied 24/7. Unfortunately, today’s college life is often thought to be synonymous with pizza, burgers, and just about any other junk food you can imagine washed down with caffeinated soda and coffee concoctions for those late nights studying. For this reason, following an AIP-friendly diet during college can sometimes feel as if you’re swimming upstream! Four years (or potentially longer if you add a master’s degree, medical or law degree) is a long time to compromise your health by not taking care of yourself, and this impact can be even larger if you’re already dealing with an inflammatory condition such as asthma, eczema, seasonal allergies, or an autoimmune condition. Eating an inflammatory diet and not managing stress–combined with the extra viruses and bacteria that come along with living in the dorms or a shared apartment–can lead to frequent illness and set you on the path to autoimmunity or worsen an existing condition. As a parent myself, this is something I’m already thinking about and it’s an issue that was often raised by my patients who either were college students or had college-aged children and wanted to help protect them from developing an autoimmune condition or other chronic illness. Fortunately, you don’t have to sacrifice your health on the altar of getting your degree and having the “time of your life”! I managed to do this myself in college because I was fortunate enough to have parents who taught me the importance of nourishing my body with real, whole foods. 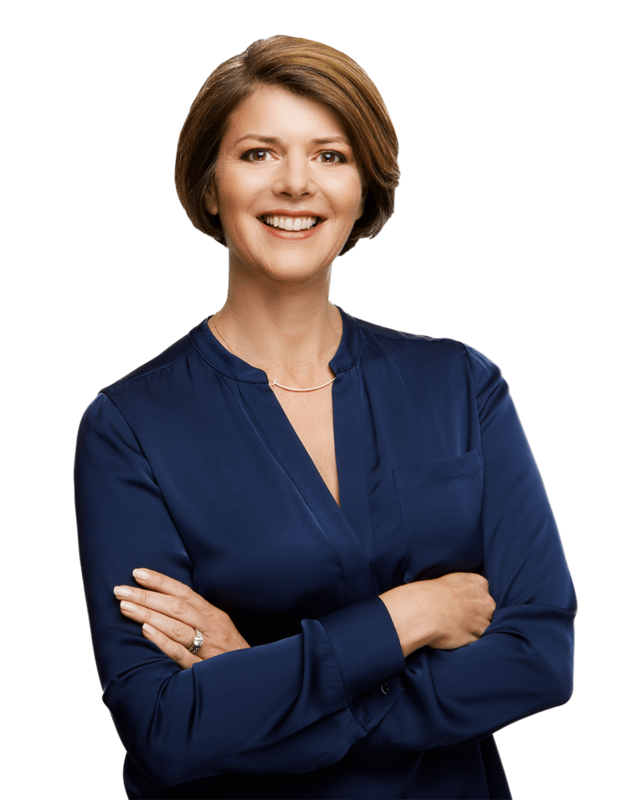 And the great news is that following an AIP (Autoimmune Paleo) or other anti-inflammatory eating plan is now easier than ever. 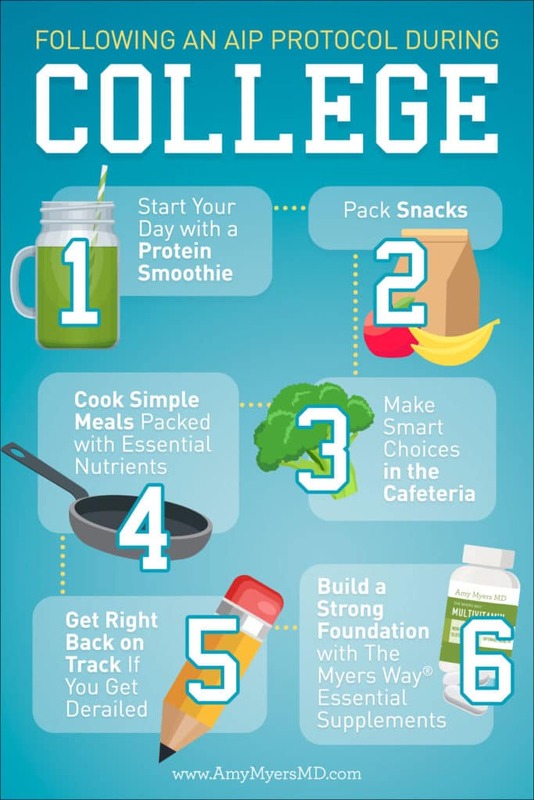 There is a wonderful array of options for the busy college student to eat healthful, delicious foods that support the gut and immune system, and by adding in a few essential supplements, you can ensure you or your college student build a strong foundation of optimal health. After all, your health is the foundation on which you can build your future! 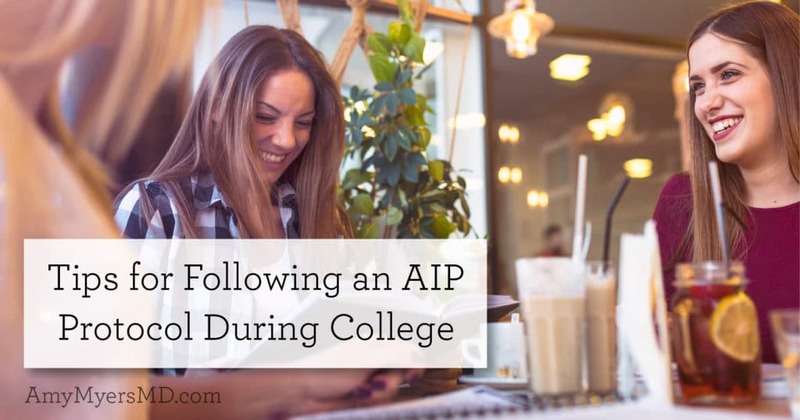 Before we dive into navigating living the AIP lifestyle while in college, let me refresh your memory on what “AIP” actually means. If you’re new to this lifestyle, I’ll highlight the main ideas and show you where you can read more. What is the AIP Protocol? 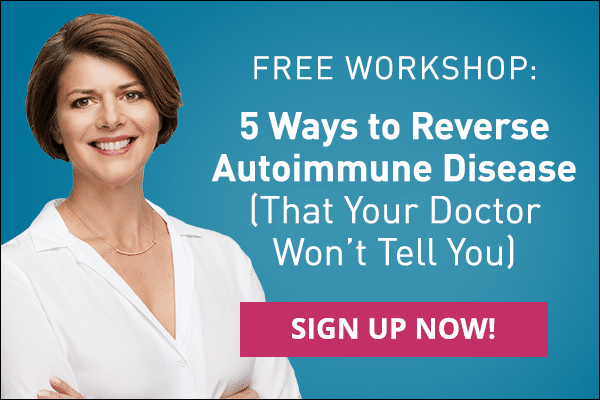 AIP, or the Autoimmune Paleo protocol, is a lifestyle approach centered on eating an anti-inflammatory diet to promote an optimally functioning immune system–one which does not malfunction, attack your own cells, and lead to autoimmune conditions of all types. I explain this in my books, The Autoimmune Solution & The Thyroid Connection. In my books, here on my website, and in my programs, I explain how I have reviewed the research on the AIP protocol, refined it based on what I have seen work best for myself and thousands of patients, and expanded it to include all of the environmental root causes of chronic illness (beyond just diet) to develop my own program for preventing and reversing chronic illness called The Myers Way®. In this article we’ll be focusing on step 2, and you can read about the others at the links above or in my books. If you have an autoimmune condition such as type 1 diabetes, lupus, Crohn’s Disease, Grave’s, asthma, eczema, or psoriasis, have a history of autoimmune disease or chronic illness in your family, or simply want to take proactive measures to protect your health, it’s in your best interest to follow The Myers Way® to maintain optimal health. In terms of optimizing your diet, you’ll want to focus on eating plenty of leafy greens, organic vegetables, lean animal protein from a clean source, healthy fats, and a bit of organic fruit. Likewise you’ll want to ditch toxic and inflammatory foods such as gluten, dairy, corn, soy, packaged or junk foods, and moderate your consumption of sugar, alcohol, and caffeine. 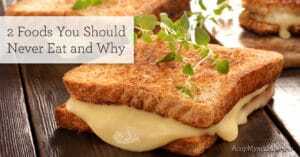 For a full breakdown of foods to enjoy and foods to toss see this article. Now that you understand what AIP is, I’ll give you some tips on incorporating it into your college life. Remember, this is a lifestyle, not a diet. That’s why I call my program The Myers Way®, because it truly is a way of life. You can start slow if this is new to you. Even a few steps in the right direction can set you on a completely different path. College life can be demanding to say the least, and I don’t want to add to your stress. My goal is to encourage you to make gradual changes over time that will allow you to truly take back your health! To keep your body and mind fueled all day long, protein is paramount because it is literally what you’re made of! All of your body’s functions require protein to operate optimally, and animal protein from a clean source is the best form of protein to fuel you. And thanks to convenient protein powders, you can start your day or enjoy a midday pick me up in the form of a delicious, protein-packed smoothie! My Paleo Protein powder is sourced from grass-fed, pasture-raised cows who were never given GMOs, hormones, or antibiotics. It comes in 4 delicious varieties: Mocha Latte (my new favorite! ), Vanilla, Chocolate, and Unflavored. And, to make it easier than ever to enjoy it on the go, you can now purchase single-serving packets that you can bring with you in your backpack or purse! I keep these with me at all times and will also be sending these to school with my daughter Elle. Simply add one packet to a mason jar (to avoid the plastic of a shaker bottle) with one of those metal shaker balls and mix with dairy-free milk, or toss it in a blender with organic frozen fruits and greens. To supercharge your smoothies there are two other convenient additions you can easily include. The first is collagen. Unlike Paleo Protein, which includes all 9 essential amino acids, collagen is not a complete source of protein. However, it is particularly rich in 4 key amino acids that support a healthy gut, beautiful hair, skin, and nails, optimal metabolism, and healthy bones and joints. Like my Paleo Protein, it also now comes in single-serving packets that you can add to your smoothie or simply stir into water since it dissolves easily into either hot or cold water and is completely flavorless. The second ingredient to supercharge your smoothies is a scoop of my organic superfoods green juice powder. It contains a powerhouse blend of 14 organic plant foods rich in the phytonutrients missing from our modern diet. It has a wonderful, mildly sweet flavor with absolutely no grassy taste and is a super easy way to get your daily dose of greens without needing a fridge full of fresh, organic produce! Your girl scout or boy scout troop leader gave the best advice, “Be prepared!” This is the key to your success as a busy college student. I want to encourage you to be prepared and be present over perfect. If you’re prepared with healthy snacks ahead of time, you can avoid the pitfalls of eating inflammatory foods out of hunger. So, what do you take with you to eat and drink? First and foremost, take water with you to keep hydrated and alert. Use a glass or stainless steel water bottle, as plastics leak chemicals into your water. This adds to your toxic burden, so avoid drinking out of plastic bottles altogether when possible. While packing real whole foods such as organic fruits and veggies is ideal, sometimes we need simple grab-and-go options that you can keep in your bag. For those of you have completed reintroduction phase of The Myers Way® Autoimmune Solution or AIP protocol, my grab-and-go Chewy Chocolate Paleo Bars are perfectly balanced to handle those between-meal cravings! This travel-friendly snack contains a whopping 12 grams of clean-sourced grass-fed beef protein per bar, perfect for between meals and before or after a workout. My Coconut Joy Fiber Bars and Mint Joy Fiber Bars will satisfy your craving for something sweet, and are excellent for keeping you full, energized, and focused. These decadent chocolate-covered coconut bars contain 11 to 13 grams of prebiotic fiber to support a healthy microbiome and blood sugar balance, and are rich in medium chain triglycerides (MCTs) to support fat burning and weight control. In the dorm, fresh fruits, vegetables, and salads are always a great choice! Most dorm cafeterias likely do not stock organic produce (although hopefully this will change as more research emerges! ), so that’s an area where you may need to compromise or you can stock your own in your dorm fridge. You can also look on the Environmental Working Group’s (EWG) website or download their app and choose non-organic fruits and vegetables from the Clean Fifteen list when eating in your dining hall! Look for grilled or roasted meats without sauces (which are often hiding butter and other inflammatory ingredients), and steamed vegetables. Always ask for gluten- and dairy-free options. I recommend calling your university cafeteria to find out if they label their gluten-free and dairy-free foods. Don’t be afraid to politely inquire about what’s in the food before you make your choices. When in doubt, leave it out! If you have your own apartment in college, with very little effort on your part you can stock your fridge and prepare simple meals that will satisfy your taste buds and support your immune system. In minutes you can have a meal made yourself that you can feel proud of and good about eating! You’ll be training yourself how to cook for a lifetime of vibrant health! For starters, make sure your freezer is stocked with grass-fed, organic meats and organic fruits and vegetables. If you can’t afford to buy everything organic, focus on meat first because it’s at the top of the food chain, and non-organic meat can be full of pesticides and hormones. I love Butcher Box’s grass-fed, pasture raised meats available as a monthly delivery option and Vital Choice for fresh caught seafood. Now, I know those freezers in your dorm’s mini-fridges are small, so I’d recommend finding a handful of like-minded students on campus with similar health goals to split a subscription with you! Regarding produce, you’ll want to prioritize buying organic fruits and vegetables on the EWG’s Dirty Dozen list, which are the 12 foods with the highest concentration of pesticides. Stock up on pantry staples such as coconut oil, coconut aminos (a delicious soy sauce replacement), gluten- and grain-free flours, and other autoimmune-friendly items. Thrive Market offers tons of AIP-approved choices at prices 25-50% lower than you’ll find in health stores and they deliver straight to your door! Choose simple AIP approved recipes that you can prepare as staple dishes for the week. You can even prep them ahead of time and store in your fridge or freezer to enjoy throughout the week. You can find over 150 easy and mouth-wateringly delicious recipes in my cookbook, The Autoimmune Solution Cookbook, which are perfect for people who don’t have hours to spend in the kitchen. My family cooks meals from this cookbook almost every night and even my toddler daughter, Elle, enjoys them! For even more pointers on eating AIP on-the-go and on a budget, check out my article 15 Tips to Save Time & Money While Following AIP! Living a healthy life is about balance and no one is perfect! So if you do get derailed, I have some great resources to get you back on track. First, take digestive enzymes to help you quickly digest and flush any inflammatory foods you have have eaten. The ones I carry in my store contain a special enzyme, DPP-IV, that specifically helps you break down gluten to get it out of your system faster. You can follow that up with binding agents in the form of activated charcoal, which absorbs toxins from your digestive tract so that you can flush them out. Make sure you drink plenty of water during this process as well, to help you pee, poop, and sweat any toxins out. 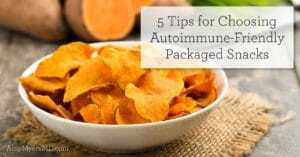 Next, you’ll want to take Omega-3 fatty acids and curcumin to reduce inflammation. Finally, to repair your gut, add in Leaky Gut Revive™, which is packed with nutrients to repair your gut lining and soothe any digestive symptoms that may arise from getting off track. No matter where you are in your health journey, there are four supplements that I recommend virtually everyone to take in order to maintain a strong foundation for optimal health. These include a high-quality multivitamin, a potent probiotic, Omega 3 fish oils, and vitamin D3/K2. You can find all of these (and save 10%!) in my Essentials Kit. I hope after reading this that you’re feeling empowered and confident that you or your college-aged child CAN maintain (and even improve!) your health during this exciting time in your life.